Bananas are everywhere. Not only are they one of the first foods we ever eat, but they are known for offering an abundance of nutrients. On the other hand, they are often seen in video games, especially those made by Nintendo, and a frequent punchline for jokes- those appropriate for all ages and those that lean slightly more towards offensive. Finally, there are quite a few everyday objects that oddly resemble this popular fruit. 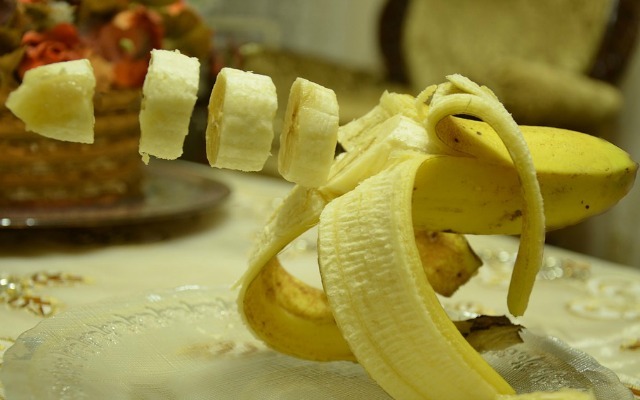 Here’s a quick look at 5 items that are shaped like a banana. Quite a few children’s books involve not so bright characters who manage to stand on a rickety ladder and eat the moon after confusing it for a banana. When you think about it, it totally makes sense. The moon, when it is in certain phases, definitely has a banana-esque appearance. Whether they are stringing it together as a part of a fashionable necklace or gluing it on a plate to make a smiley face, many a kid has noticed the strikingly similar features of macaroni to bananas. They are right, which leads to one big question. Aren’t these kids a tad too advanced to be crafting with macaroni? Yes, bodies can be shaped like a banana and these three Hollywood stars are classic examples. Think about it. Their shoulders and hips are about the same size and they have a short, non-defined waist accompanied by a booty that could desperately benefit from a few billion lunges. Essentially, they are shaped like a banana. Need a few more examples? Take a look at Kate Hudson and Cameron Diaz. Again, a classic banana shape. Simply add a coat of bright yellow paint and it looks like people are careening across the lake on a huge banana, doesn’t it? Let’s not even pretend like this part of the male anatomy wasn’t the first thing that came to your mind when you read the words “shaped like a banana.” Everything else was just an afterthought, right? What Do You Do When You’re Feeling Down In The Dumps?